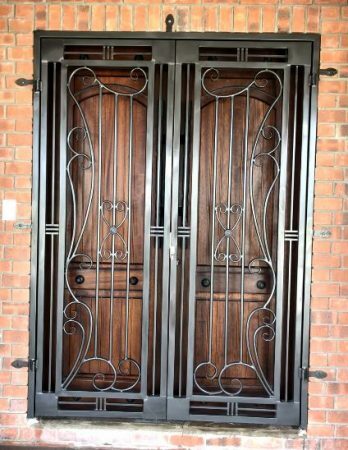 Another Exclusivio impressive accomplishment of attractive security wrought iron goods for one more approving Client. The components are all manufactured to bear a resemblance with the intention of a matching end product. Support posts (double swing gates only) 76mm square tubing with bullet hinges. Outer frames are 50mm square tubing. Angled mesh is made up of 25mm square tubing and 25mm x 3mm flat bar. Verticals and scrolls are 16mm tubing, the verticals are decorated with 70mm diameter spun balls. The filler pieces are 12mm square bar and the perimeter cover plates 1.6mm sheeting. 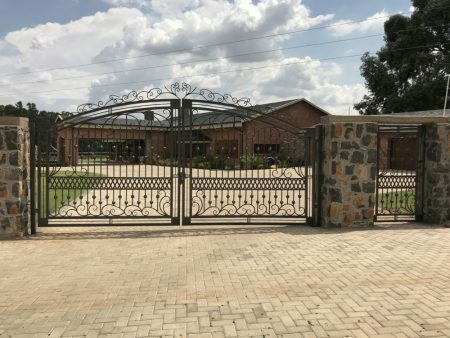 The gate dimensions are –double swing gate 5700mm (2 x 2850mm) x 2800mm high, the single security gates are 1450mm x 2100mm high and 1350mm x 2000mm high respectively. 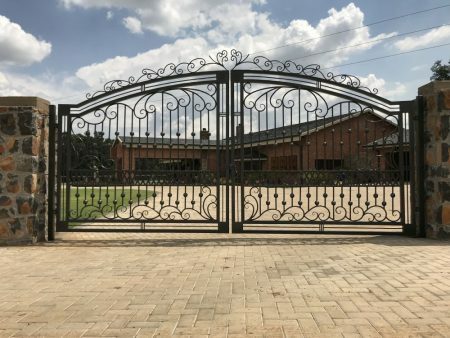 The front door double security gates are of similar construction other than the support posts being 50mm square tubing with bullet hinges and the verticals have no spun balls but have additional decorative scrolls. Front door dimensions 1700mm (2 x 850mm) x 2550mm high. 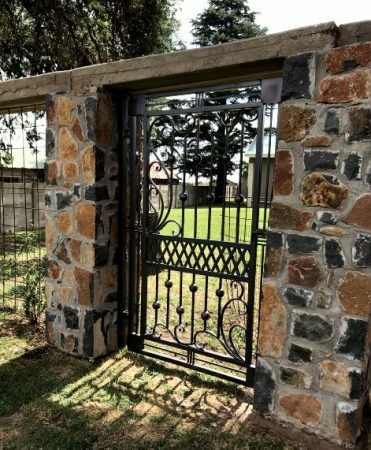 Other than the double swing gates all the gates are fitted with high standard slam locks. The finished product to prevent rust is spray primed and painted charcoal grey as per the Client’s request. 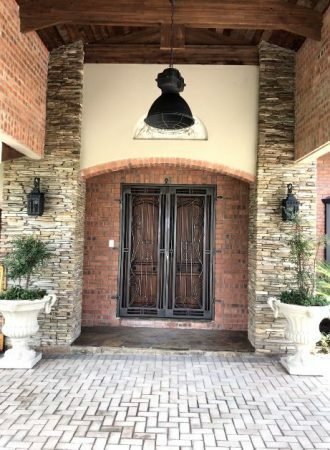 Exclusivio Wrought Iron Designs give our Clients attractive security products that also provides a purposeful safekeeping barricade.